Are you familiar with the song Cruel Summer by the 1980s girl-group Bananarama? Well, that title sums up how I feel about the last few months although to be fair there is a way to go before it beats the summer of 2013 which was definitely one of the worst times of my life. If anybody had said to me in March that the flu-like symptoms I was experiencing would get worse instead of better, that I’d feel too dizzy to look down, that I’d have to walk with a stick and that one weekend I’d sleep for 40 hours, I’d never have believed them. And if they’d told me that all these debilitating symptoms were caused by hayfever even though I’d never had it before in my life, I’d have thought they were mad. But believe it or not, hayfever has pretty much knocked me off my feet for the last five months. In addition, I’ve also had a cancer scare although thankfully everything is OK, some unexpected “emotional” problems that I could really have done without and enough money worries to last me a lifetime. But I’m back! Not quite firing on all cylinders but definitely getting there and keen to crack on with my book My Dear Elsie before anything else happens to me. I mentioned in a previous post that Lady Carnarvon (yes, “the ” Lady Carnarvon) had unexpectedly got in touch and that I’d sent her some of Ethel North’s letters to my grandmother that I’d already typed up and researched. If I’m honest, I was really hopeful that this might lead to something. After all, it was Lady Carnarvon we were talking about! Unfortunately, although she sent a very nice email saying how much she’d enjoyed reading them, she didn’t seem quite so bowled over as I’d hoped (or even presumed) she would be which was rather a disappointment. However, while I was ill I had an unexpected conversation with a neighbour that I’d never really spoken to before, about Ethel’s letters. Her enthusiasm for the project and her interest in it, really fired me up again and made me determined to keep going, despite all the many setbacks there seem to have been along the way. So it was quite a milestone to have recently reached the halfway point (I hope!) in terms of typing up and researching the end-notes for each letter. There is no doubt in my mind that it’s the letters themselves and their fascinating content which inspire me the most and make me really keen to share Ethel’s musings with the rest of the world. 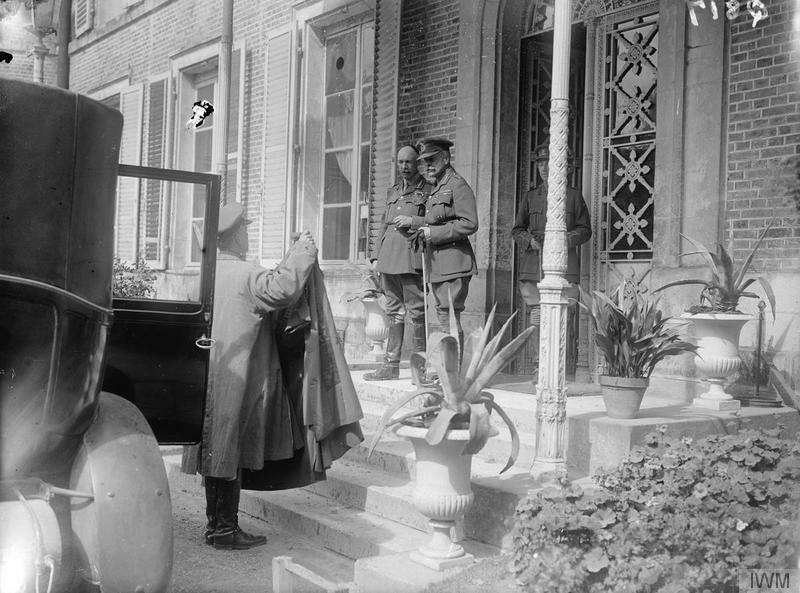 For instance, the letter I’m currently working on which was written when Lady Burghclere and Ethel were staying in Rome for six weeks in 1926, has some really interesting insights into the character and personality of General Douglas Haig. As I’m sure you are aware, General Haig was Commander In Chief of the British Expeditionary Force during WWI and is particularly associated with the Battle of the Somme. This is what Ethel says to my grandmother about one of the most important and also controversial military leaders that Britain has ever had. She then goes on to talk about the problems that the General and his wife (whom Ethel describes as “..very sweet but terribly old looking for her age”) appear to have in dealing with their eldest daughter, “a real, young modern” according to Ethel. I really enjoy these little insights into famous names from history that Ethel provides. The same letter also has some interesting “gossip” about the Royal Family as the then Duchess of York was expected to give birth at the end of April or beginning of May and was due to move into a house at the bottom of Green Street, near to Lady Burghclere’s London residence. 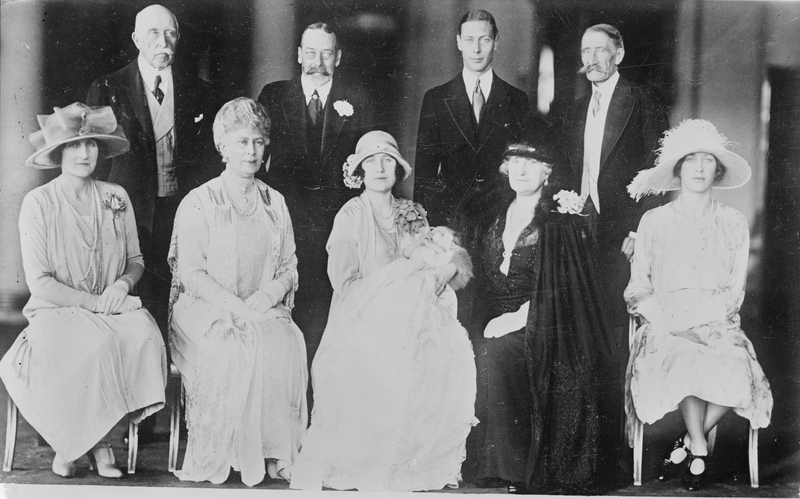 Of course, as I’m sure you’ve already worked out, the Duchess of York was our present Queen’s mother and the impending royal birth was that of Queen Elizabeth II who was born on April 21st 1926. And that’s all for now but I will be back soon, health permitting, with more updates. Hopefully it will be a kind autumn! Looking forward to the day when your book is finally published! Thank you Gill. That means a lot. I’m a bit behind with everything at the moment for various reasons but still plugging away with the book. I hope to blog soon about “Tutankhamun” a new drama series based on the discovery of the tomb by Howard Carter and Lord Carnarvon which is on TV over here at the moment, so watch this space!